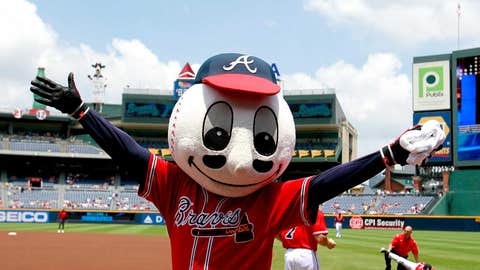 Though this baseball head mascot is unoriginal, it’s certainly less offensive than the Braves’ previous mascot, Chief Noc-A-Homa. 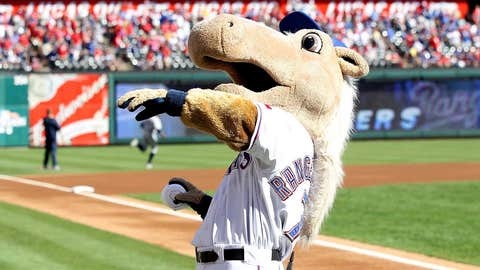 This is a horse in a Rangers uniform, which is what you’d expect from Texas. He has a long bleach-blond mullet and throws smoke, which is what you’d expect from Texas. 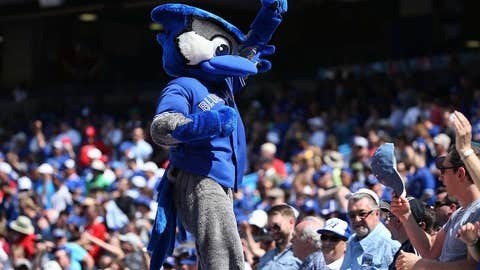 Ace is a human-sized blue jay with attitude. He looks pretty tough and is always gesturing as such. When you’re from the mean streets of Toronto, I guess you sorta have to be. A diamondback is a rattlesnake. 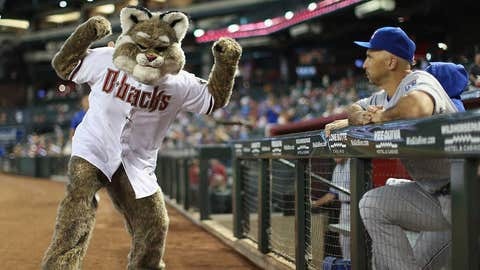 This thing is a bobcat. Here’s a video of a bobcat fighting a rattlesnake and winning. Though it’s understandable that Arizona didn’t want a snake as a mascot, it could have made this thing look a bit friendlier. In case you thought nothing else in this world would be named Screech after 'Saved by the Bell' ended, the Nationals proved you wrong. He’s a big bald eagle in a uniform. And that’s cool and patriotic and very D.C. He also loves classic rock like The Eagles and the Steve Miller song 'Fly Like an Eagle.' He’s pretty much all about eagles, but at least he’s honest about it. 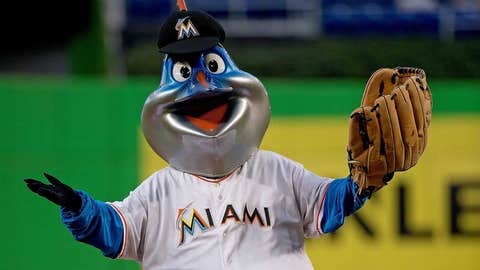 You’d think a Marlin would make for a good mascot, but Billy’s plasticized head and razor-sharp bill make him more terrifying than you might prefer. Also, fish don’t have arms and legs. Just saying. 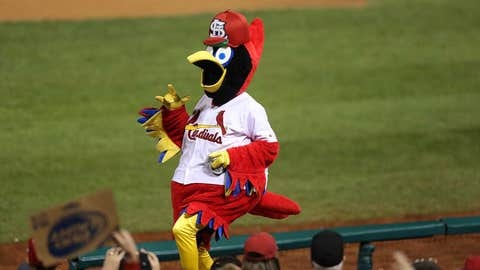 Fredbird is a big, strange-looking cardinal who looks like something a group of Kindergarteners created in art class. Let’s move on. 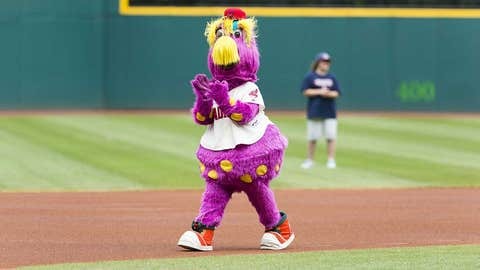 The spawn of some horrible breeding experiment gone wrong, Slider was first introduced in 1990, which explains a lot since people were dressing like this then. 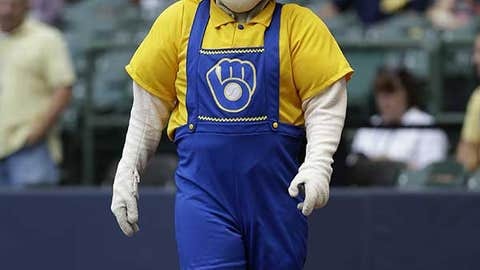 This is a straight-forward mascot, which is refreshing. What else could you possibly do with a team name like the Tigers? 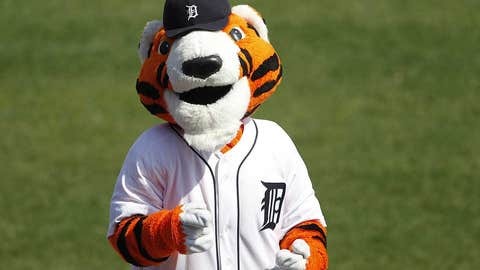 The only problem is this tiger is pretty boring looking. Especially when there’s other famous big cats like Tony the Tiger knocking around. And he's so cool that he wears a bandana around his neck. Named after the street that runs alongside the home-plate side of Wrigley Field and houses more Wrigleyville bars than anyone can count, this guy debuted in 2014 to mixed reviews. According to his biography, Clark is the great-grandbear of Joa, the team’s terrifying mascot from the early 1900s. Though far less scary than Joa, Clark shares his grand-bear’s love of not wearing pants. Just a bear, really. A decent looking one, but still just a bear. 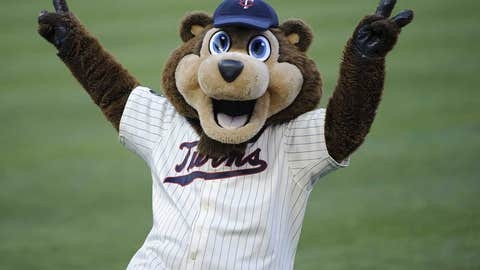 With a team name that doesn’t give you any clue as to what the mascot should be, the Twins played it safe. Though T.C. 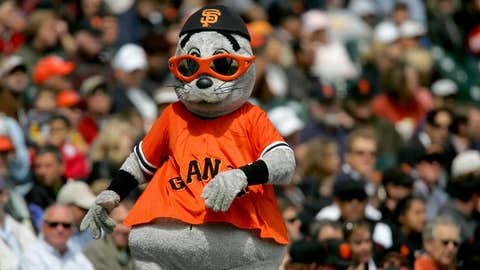 is a bit squirrelly looking, he's certainly better than the team’s previous mascots, which included a loon. T.C. stands for Twin Cities, of course. 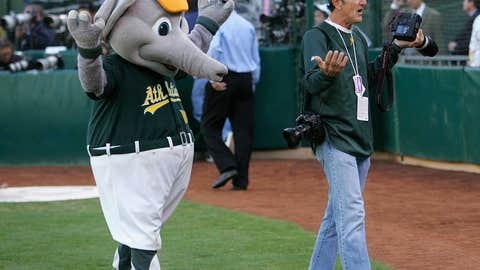 Stomper is an elephant who debuted as the team’s mascot in 1997. Former A’s skipper Connie Mack is responsible for selecting the elephant to represent the team in the early days of the franchise. Though his trunk is freakishly short, Stomper is likable enough. Well, this one certainly makes sense. 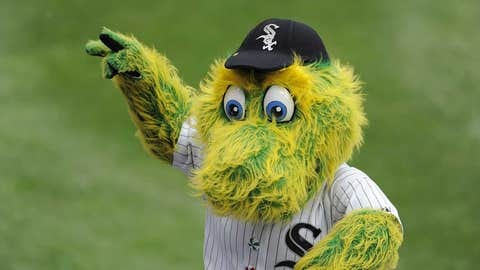 And it dates back to 1979, making it one of the older mascots in baseball. 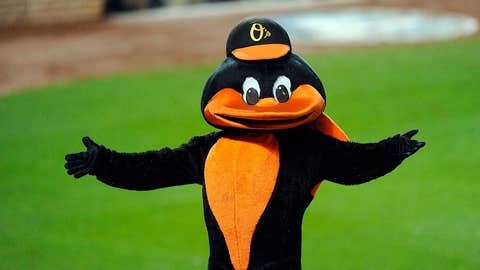 The name, however, could use some sprucing up as it’s pretty obvious this is an oriole bird. Extra points for the aggressive tail. What is this? Just a big, green thing covered in yellow hair. It looks a bit like a furry dinosaur or something that might live in a very deep hole or under a rock or somewhere beneath the crust of the Earth. But it got out and they dressed it up and now it entertains children. Go figure. This guy is pretty sweet. Everybody likes dinosaurs, especially purple ones. 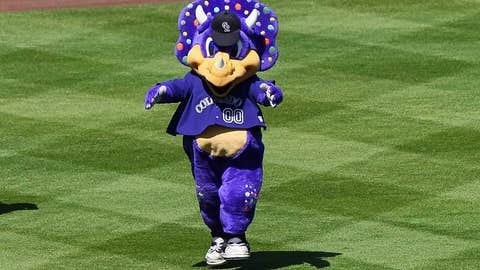 You may be wondering why the Rockies have a triceratops as a mascot. It’s a cool story, actually. During the construction of Coors Field they found a fossil of a triceratops skull, which is probably the best explanation for the existence of any mascot on this list. 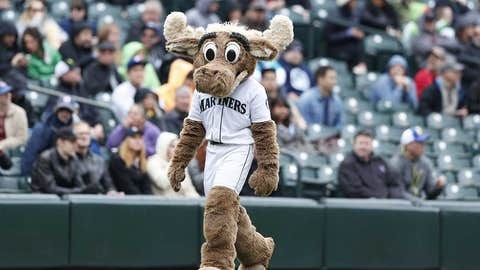 The Mariner Moose is just that, a moose in a Mariners uniform. 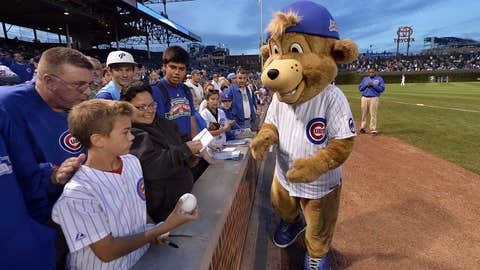 He debuted in 1990 and was selected as the team’s mascot by a child. His most famous moment was when he broke his ankle by crashing into the outfield wall while being towed on skates by an ATV -- something a real moose would never do. A space creature dubbed Homerunus Spectacularus from the Grand Slam Galaxy, Orbit is a fuzzy green thing with orange antennae. 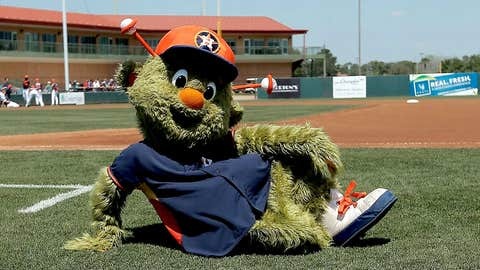 Orbit was first introduced in 1990, then replaced by Junction Jack, then brought back before the 2013 season coinciding with the team’s move to the AL. He seems pretty cool. Raymond is some sort of mutated thing pulled from the dirty waters of the Gulf of Mexico. He’s got hair all over his face and looks like something you’d find buried in wet mud. After marine biologists took a look, they discovered that he’s a previously undiscovered species of dog known as Canus Manta Whatthefluffalus, or a Seadog. He’s so weird that he's tough not to like. 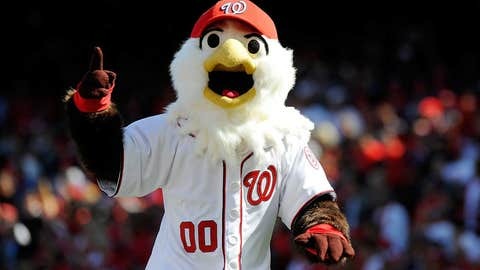 Unfortunately, the always hilarious San Diego Chicken is not the official mascot of the Padres. 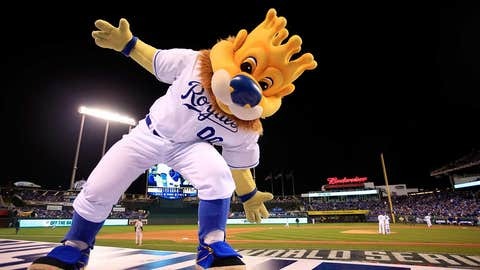 The team’s official mascot is just as ridiculous but in a completely different way. The Swinging Friar is a huge cartoon character, complete with a bald head and cloak. 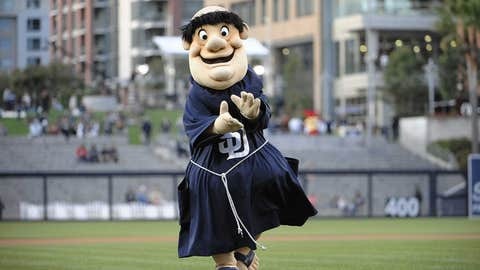 He’s modeled after an actual human who showed up to games dressed in Friar garb. Lou is a seal pulled from the waters of Fisherman’s Wharf. His full name is Luigi Francisco Seal, and he’s known for attempting to kick umpires in the seat of their pants and generally acting crazy. He wears a backward hat and sunglasses, which gives him a bit of swagger. He seems to be working out nicely for the world champion Giants. 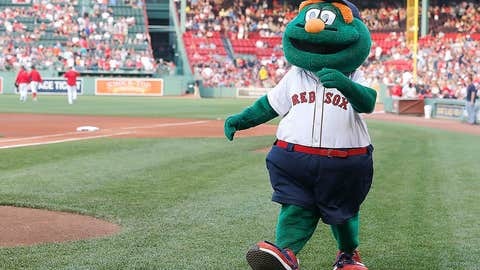 This is a big green thing named after Fenway’s left-field wall. It sort of resembles the dorky kid who loved baseball but wasn’t any good at it. The trousers are hiked too high, but at least it’s wearing some. This one makes sense because pirates are known to hang out with parrots on occasion. 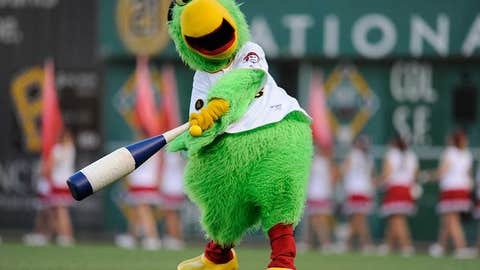 Plus, this particular parrot -- or at least the guy in the costume -- overcame a cocaine addiction, but that was more a product of debuting in the late '70s. I mean who wasn’t fighting a cocaine habit then? He’s basically a big cross-eyed parrot, which is cool. Mr. Met is the original mack daddy of them all -- the first true mascot, as we know them today, in MLB history. 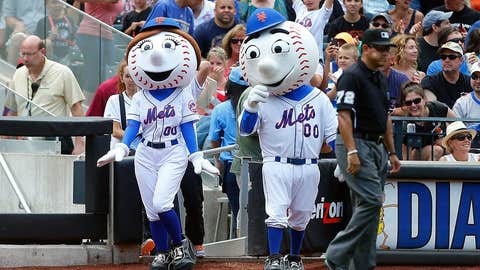 He’s a baseball-headed, high-fiving machine who is completely devoted to baseball and his lovely companion, Mrs. Met. He debuted in 1964 and has entertained crowds from New York to Tokyo. Sluggerrr is awesome. He’s a yellow lion with a crown coming out of his head. Also he sometimes shoots hot dogs out of a hot dog gun. 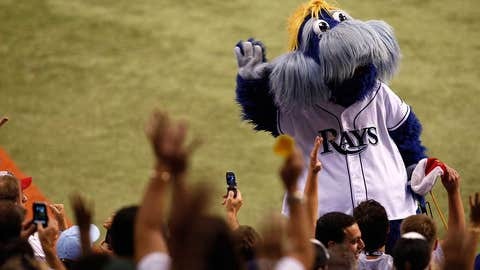 What else could you possibly be looking for out of a mascot? 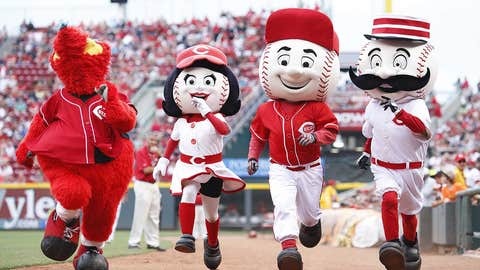 If there’s anything we know about the Reds, it’s that Pete Rose isn’t in the Hall of Fame and they love mascots more than any team. They have four. Mr. Red. Mr. Redlegs -- the younger, spryer, more mustachioed baseball-head mascot with eyes that suggest he’s been up all night drinking caffeinated beverages. Then there’s Gapper, another weird furry thing that doesn’t make a whole lot of sense. And finally, the sultry Rosie Red. Mr. Redlegs is the real star here. What a mustache. Just tremendous looking. And with a good story attached, too! Bernie was created in honor of Milt Mason, a 69-year-old man who in 1970 camped out in a trailer atop the scoreboard and vowed not to come down until attendance topped 40,000. It took a little over a month for that to happen, and a few years later Bernie was born. Bernie is so cool that he lives in a beer-barreled chalet and slides down from his perch into a beer stein following every home run and team victory. What a man. 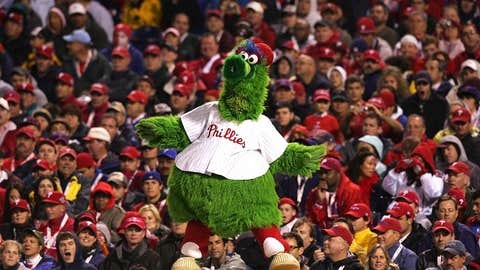 The Phanatic is perhaps the craziest mascot of them all. Literally. He’s always acting like a complete maniac. He pops wheelies on an ATV, sky dives, rides horses, headbutts people, karate kicks stuff, zip lines, shoots a hot dog cannon at pigs. It’s incredible. He’s the best there’s ever been. The ultimate in mascotery.